Ansel Elgort is our modern day heartthrob that chicks and dudes both love, especially after his enthralling turn in Edgar Wright's Baby Driver. Now, he's back to entertain the masses in a very weird sci-fi drama called Jonathan. Today, we have the trailer and poster for this slightly creepy premise. Jonathan will hit theaters on November 16. Well Go USA Entertainment knows that with the holidays coming up, some folks simply can't make it out to the cinema. So they are also simultaneously releasing this science fiction romance tale On-Demand the same exact day. So all you crushing hard on Elgort can watch from the comforts of your living room couch without bothering paying customers with your heavy sighs every time he steps on screen. Jonathan is directed by Bill Oliver from a script he wrote with Peter Nickowitz and Gregory Davis. Starring alongside Ansel Elgort is Suki Waterhouse, who is raising in Hollywood quite high herself. You can see her now in the thriller Assassination Nation and she played a memorable role in Insurgent. Also starring in the movie is the great Patricia Clarkson, who is an Emmy Award winner for her role in HBO's hit series Six Feet Under. In this sci-fi-tinged drama, Ansel Elgort plays two brothers living very separate lives, inside the same body. 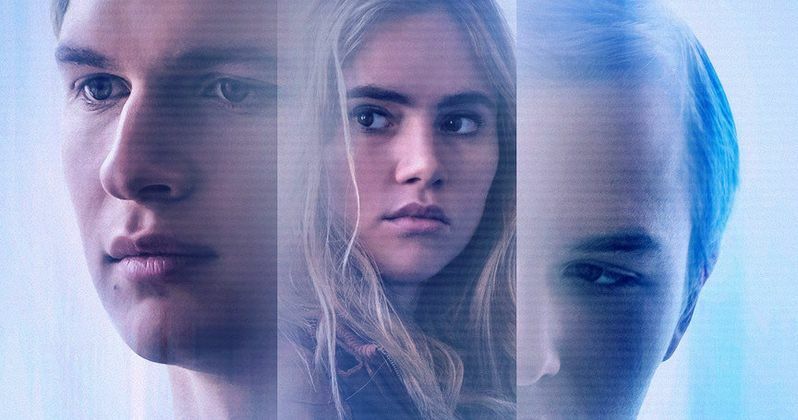 Previously content to live life in shifts with one another, their delicate balance is ruined when they become emotionally involved with the same woman (Suki Waterhouse). The movie is an official selection of the 2018 Tribeca Film Festival, which clocks in at a very digestible hour and forty minutes. Jonathan leaves the office everyday at noon. When he gets home, he goes to sleep. Every morning he wakes up and there is a breakfast prepared for him along with a video telling him about the second part of his day. That day is about to be ruined in a big way all because of one girl named Elena. Ansel Elgort and Suki Waterhouse were not exactly strangers when they boarded the movie. The pair have worked a couple of times together before. They first appeared on screen together in the 2015 sci-fi hit Insurgent. They would later reunite for the 2018 thriller Billionaire Boys Club. That movie was a substantial bomb at the box office, mostly due to the Kevin Spacey controversy swirling around it. Kevin Spacey and Ansel Elgort had reunited for the movie following their scenes together in Baby Driver. But after Spacey was accused of sexual misconduct with a number of men, Billionaire Boys Club got shafted on its release, which was probably for the best, because no one showed up to the handful of theaters that decided to play it. Jonathan doesn't need to worry about that. There is no controversy swirling around his unique sci-fi drama just yet. You can take a look at the first trailer and poster direct from Well Go USA.